Use this combination with lashing chains for roro and general cargo lashing. 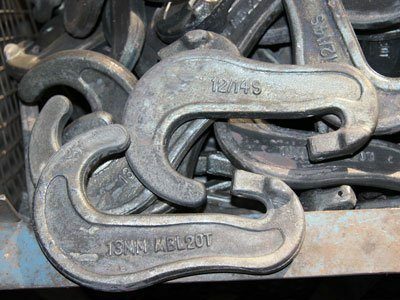 It is possible to supply single C-hooks or completely installed combination with durable lashing chains. For painting it is used a resistant 2-components-paint. After painting-process the C-hooks are oven-dried which results in a very hard, durable and smooth surface of these hooks. The manufacturer features the complete production and is able to supply any color or marking as per customer request. 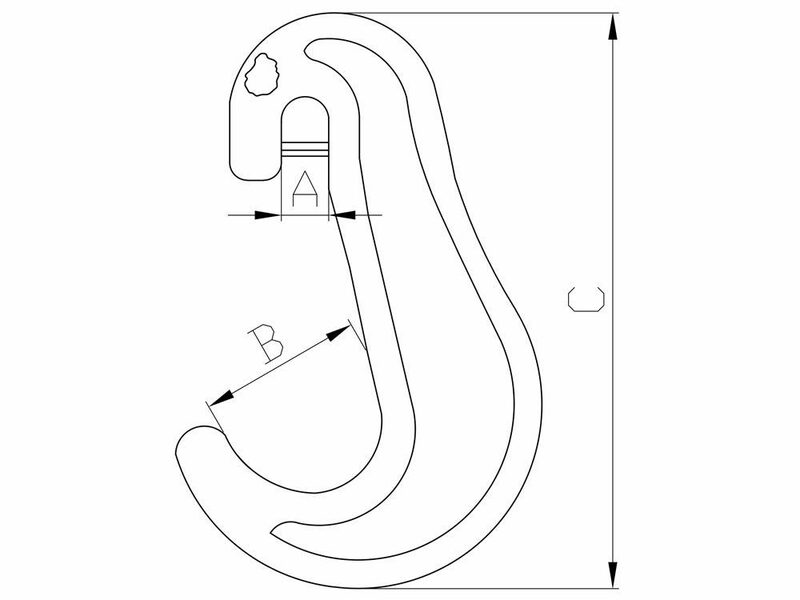 The hook-marking normally includes size, MBL and batch number. If you require additional markings or special colours, please let us know and we will process your order accordingly. Please note: All C-hooks come with a factory test certificate as standard.